Now that the Christmas rush is over, it's fun to look back over 2014 and to consider all its challenges and accomplishments. This year included projects big and small around my house. 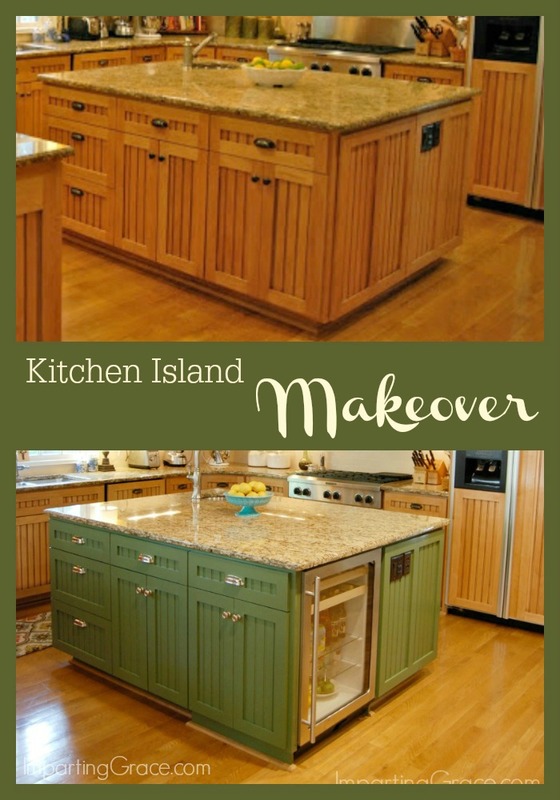 My favorite project was the makeover of the kitchen island. I'm so happy with the way this turned out! 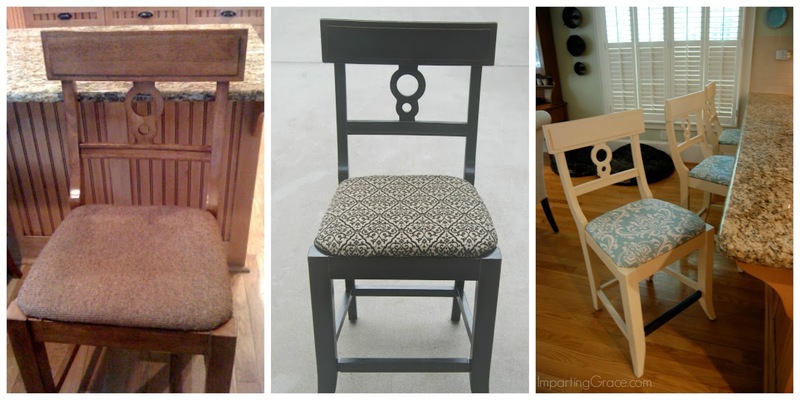 I also did some smaller projects in the kitchen, like the transformation of our bar stools. 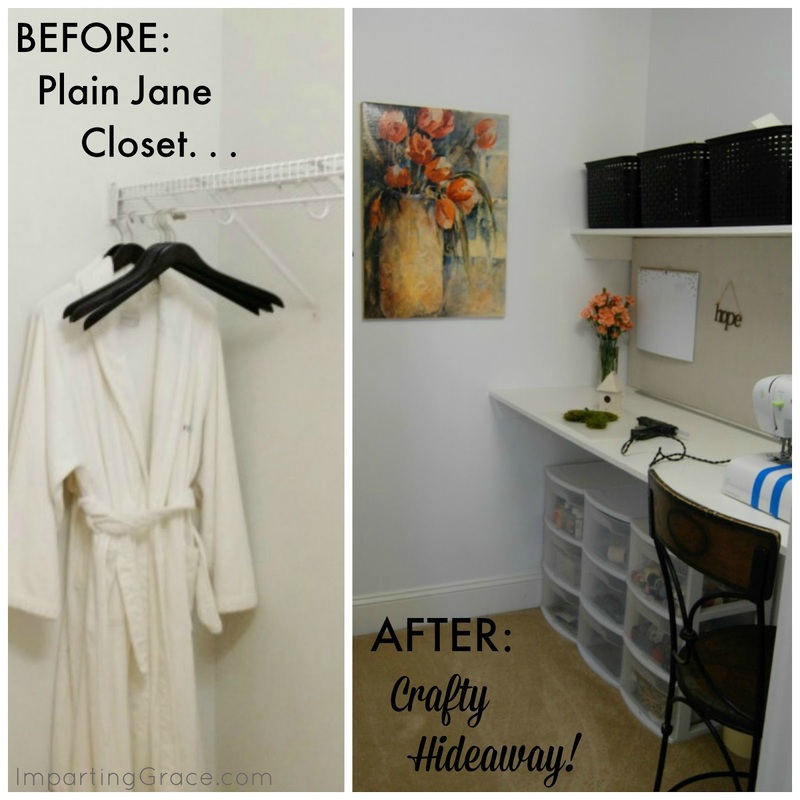 I claimed the use of a large closet and made a space for crafting. It's not fancy, but it surely is useful! 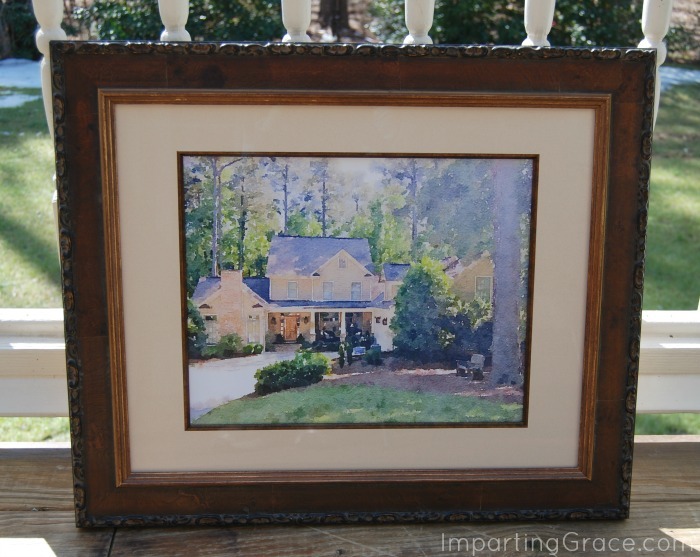 One of my favorite small projects this year was creating a watercolor portrait of our home. 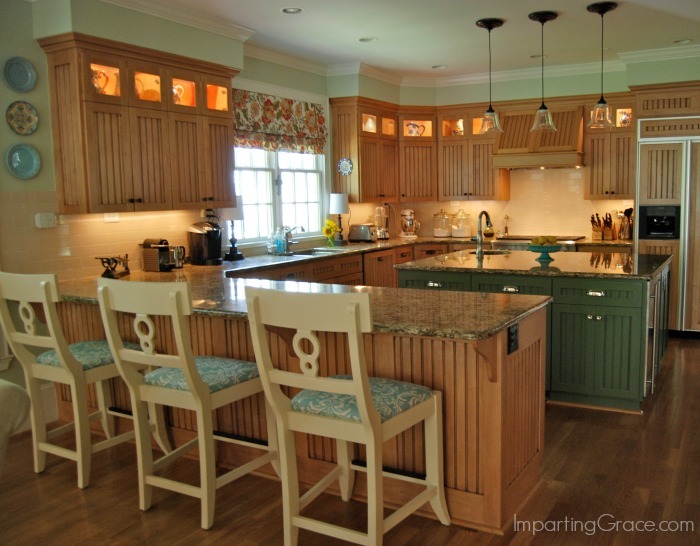 This was easy and fun, and I share step-by-step instructions for it. 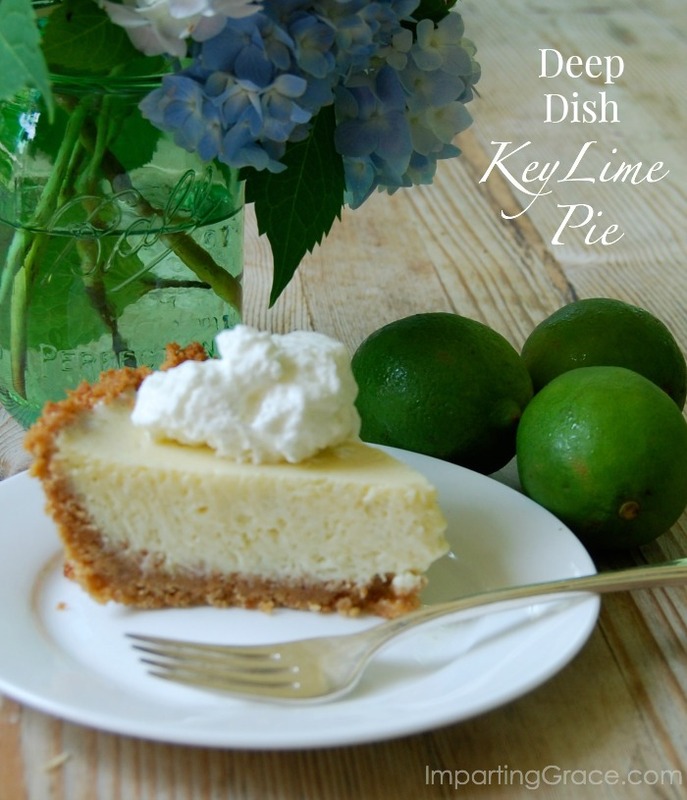 To celebrate my son's 21st birthday, I created my own recipe for deep-dish key lime pie. It was a hit! 2014 was an event-filled year for me. 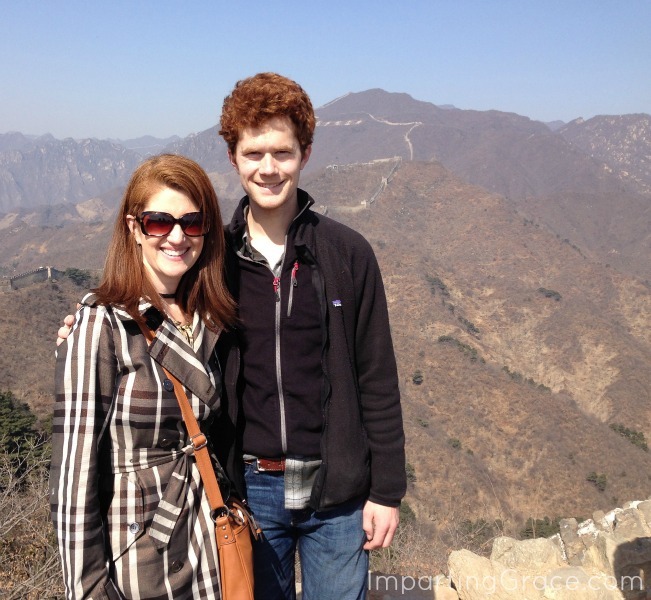 Some of the events were wonderful, such as taking a trip to East Asia to visit my oldest son. 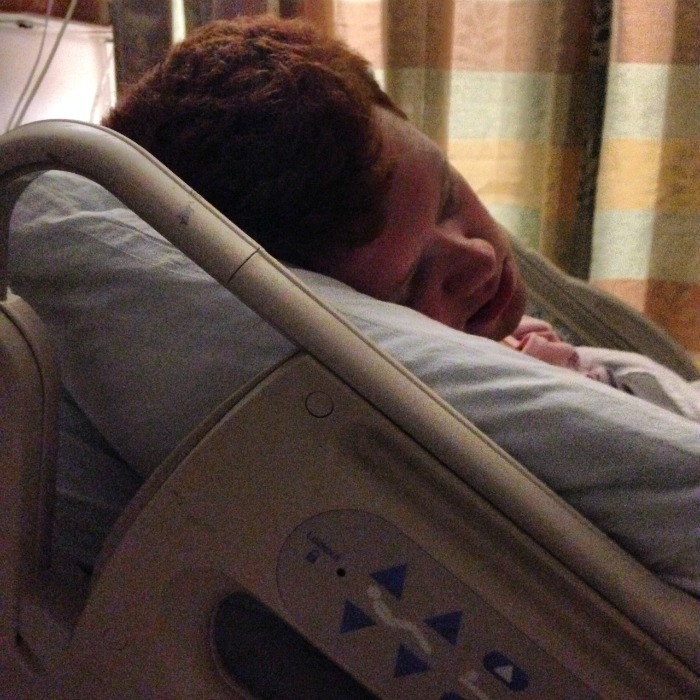 Other events were decidedly not fun, such as when my 21-year-old son had a stroke this fall. Perhaps the best way to sum up my year was my final project: this DIY "Joy" sign. In good times and bad, life is full of joy. The key is to remember our blessings even in the midst of the trials. What blessings has 2014 held for you? 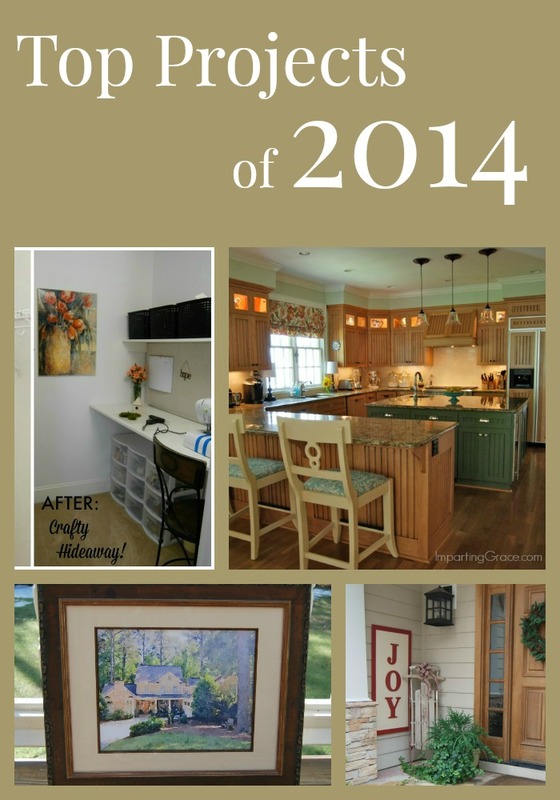 I'm joining Rhoda at Southern Hospitality for her Best Projects of 2014 party. 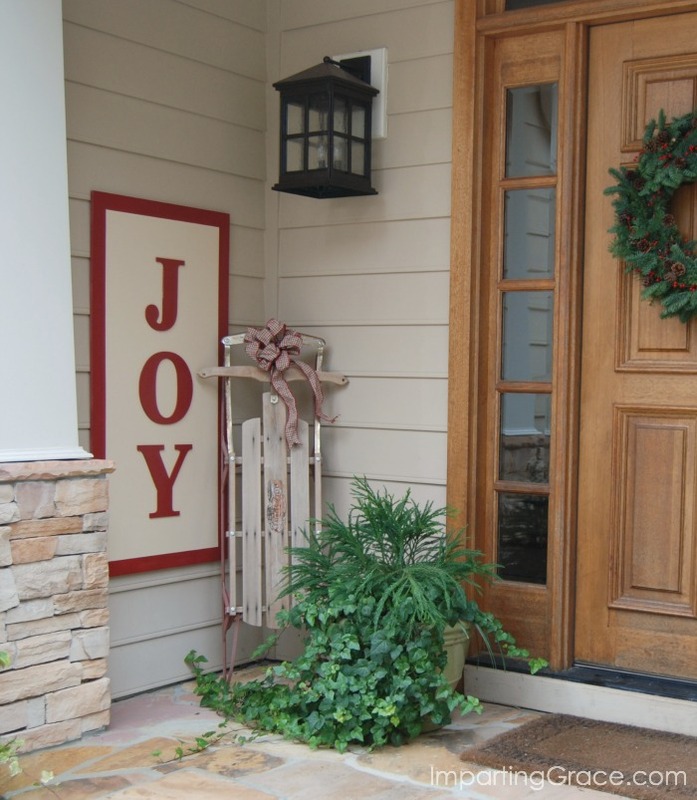 How appropriate that you would have a "JOY" sign on your front porch because I know that you have chosen joy everyday, even on the tough days! Wishing you a wonderful 2015 that is filled with joy! Hoping much contentment, peace, and joy for you and your family in 2015! Every year is full of good and bad happenings, aren't they, but through it all, there is JOY! What a way to end your blog and year with the Joy of Christ that takes us from the past to the future with HOPE! You do the loveliest things, Richella. Thank you for sharing them all in one space today. Happy New Year to you and your family - with prayers for a complete recovery for your boy. 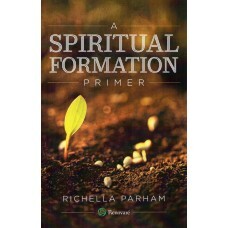 Richella, wanted to wish you a very Happy New Year! The year 2014 was certainly a busy one for you and your family, no doubt and I know a little bit about the ups and downs myself. But God is good...ALL the time! I pray your 2015 is beyond blessed, my sweet friend! I am so very glad your son is doing well. I missed the post regarding his health scare. God is good. I hope Preston continues to do well. Happy New Year!